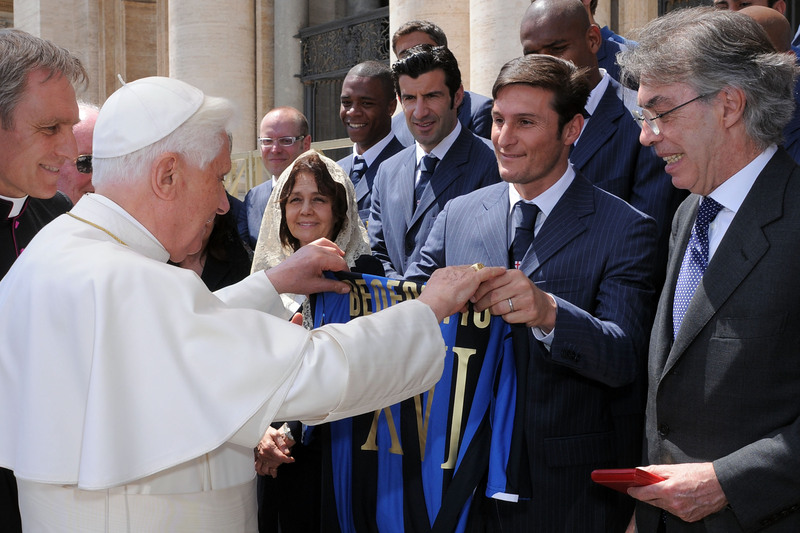 Inter Milan met Pope Benedict XVI this week to celebrate their centenary. Most of the squad must have been praying that they can hold onto their three-point lead over Roma and win the Serie A title. Captain Javier Zanetti presented the Pope with a personalised replica shirt with his name and number on the back.